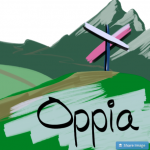 « Oppia: Opportunity for Progressive Learning or Open-Content Muddle? As I left off in my last post, I tried out Oppia.org by creating an exploration called “Dimensional Analysis for Chemistry.” In short, while the creation process is a little laborious depending on the complexity of the exploration, I was rather pleased with the content creation tools. 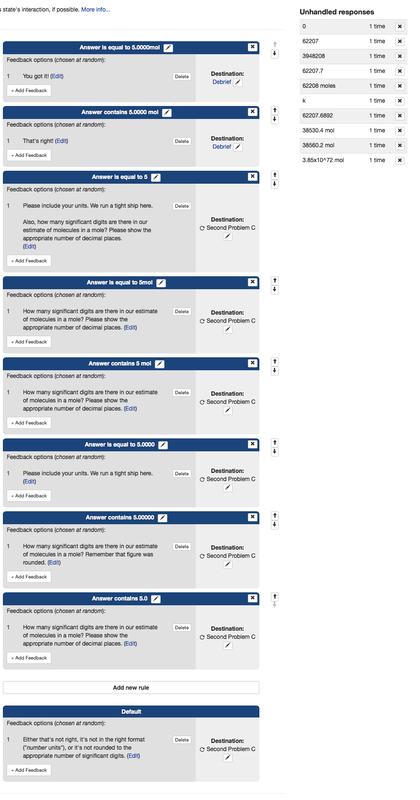 In particular, I was impressed by the powerful options for setting the feedback rules for user responses. In my opinion, Oppia may have a place in a teacher’s tool belt–or it can just become a creative hobby. Here’s the good and the…almost good, to consider when you look at Oppia.org. The Oppia WYSIWYG editor is still a rough gem at this stage. 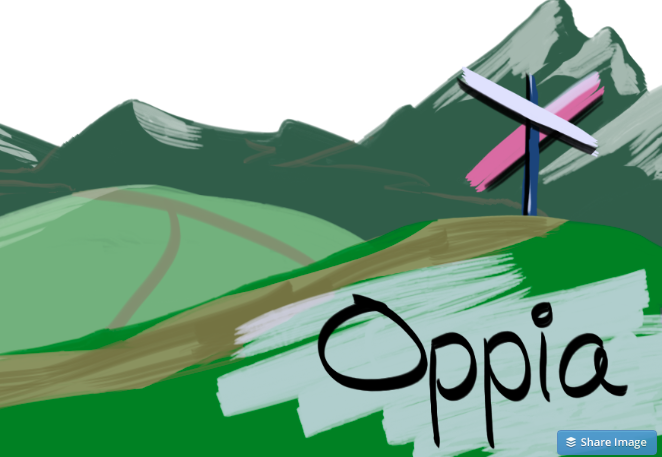 (Oppia itself is still in beta.) That said, it is easy enough. Anyone familiar with WordPress, Blogger, or even just the Word toolbar should get along okay. So the editor, with its basic tools, should be easy and intuitive to anyone. On the other hand, the user feedback rules may take some figuring out, but the power they afford outweighs the little bit of learning time. Oppia provides rules that allow you to create dynamic user experiences. These have the potential to go beyond right/wrong or yes/no interactions. The above screenshot illustrates a fairly simple set of rules to allow 1, One, one, ONE, or a simple misspelling of one as an acceptable response to pass the user to the next state. 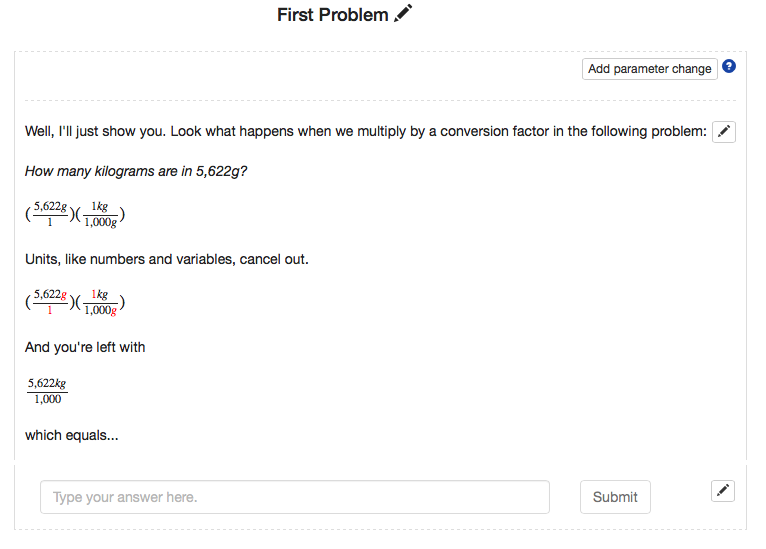 The default in this case is being used a catch-all for incorrect responses. Here’s a much more complex example, which also shows one of Oppia’s coolest features: stats on real responses not handled by your rules, which users enter as they test or play your exploration. Click to enlarge. Now back to that LaTeX marker. In order to achieve decent formatting for mathematical notation, Oppia offers a LaTeX widget, and this widget editor is the most irksome part of the WYSIWYG that I had use for. But it wasn’t enough of an obstacle to deter me. That little text field doesn’t get any bigger, but any appreciable amount of LaTeX will easily exceed its length. Also, this is probably more an artifact of how recent versions of Safari do things, but any single click on the text field highlights all of its contents. So, when you try to simply move the cursor to edit, it is too easy to accidentally overwrite your string by starting to type while the whole string is selected. Placing the cursor to edit isn’t made any easier by the smallness of the text box either. If you don’t already know LaTeX, there is no other option for complex math. If you are coming to Oppia as a STEM teacher and you don’t like LaTeX, you’re probably going to have a bad time. If you don’t know LaTeX, you can Google up some simple guides to learn a bit of it. Or you can make use of one of several online LaTeX editors to help you. The feedback rules alone make Oppia worth any of the faults it still may show in beta. I don’t know of any other way, besides programming software yourself, to engineer this sort of feedback for a guided exploration on the Internet for free. 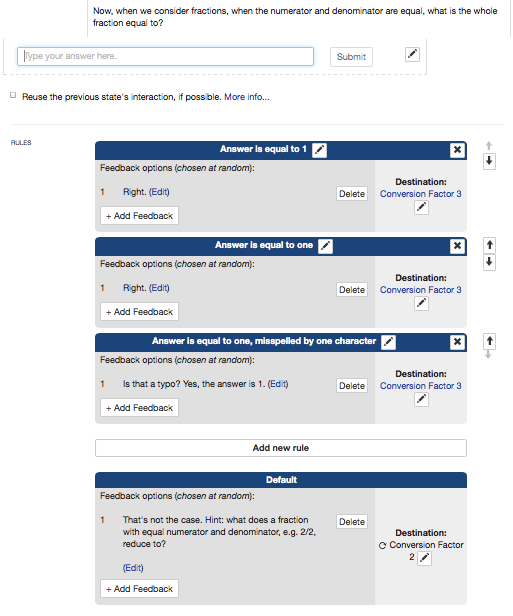 And the ability to tweak your feedback rules based on uncaught user responses is a smart and useful feature. It definitely helped me come up with some rules I had no idea I needed. Now, if I can get a sense of the editorial/publishing process for Oppia explorations, that will be the topic of my next post. So please try out my exploration, leave feedback on how it can be improved, and nominate it for publication if you like it! 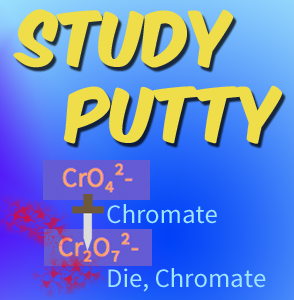 Tagged activity, Chemistry, classroom technology, e-learning, educator resources, learning activities, Learning Technology, online learning. Bookmark the permalink. I’m not sure how to nominate, otherwise I would.